Highs at 82, chance of showers. 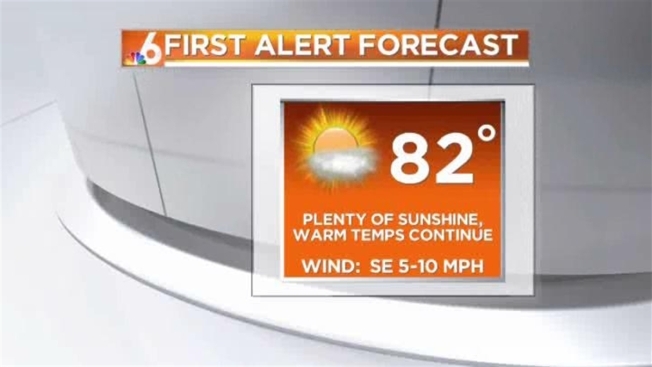 Another warm day is in store for South Florida, with a mix of sun and clouds. Highs will be around 82 and there will be a chance of showers. Overnight lows will be in the lower 70s. Moisture and light winds could create patchy fog across interior areas. The start of the work week will remain dry, but expect a gradual increase in moisture as a cold front approaches mid-week.